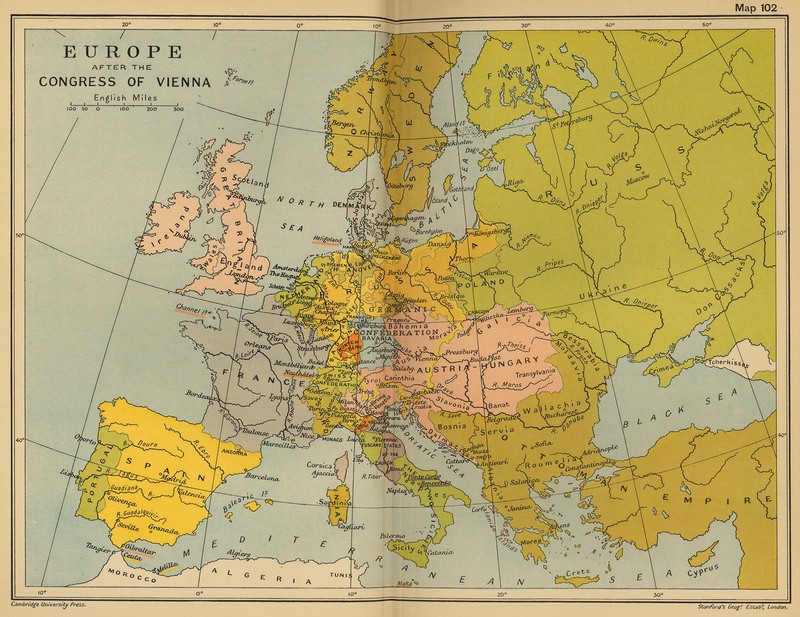 The Congress of Vienna was a conference of ambassadors of European states chaired by the Austrian statesman Klemens Wenzel von Metternich, and held in Vienna from November, 1814 to June, 1815. 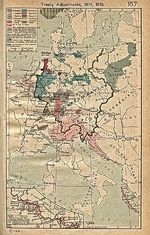 Its objective was to settle the many issues arising from the French Revolutionary Wars, the Napoleonic Wars, and the dissolution of the Holy Roman Empire. 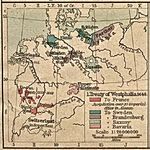 This objective resulted in the redrawing of the continent's political map, establish the boundaries of France, Napoleon's duchy of Warsaw, the Netherlands, the states once part of the Confederation of the Rhine, the German province of Saxony, and various Italian territories, and the creation of a spheres of influence through which France, Austria, Russia and Britain brokered local and regional problems. The Congress of Vienna was a model for the League of Nations and United Nations due to its goal to constitute peace by all parties.